I think Leslie’s attorney has a right to these tapes. Interesting, how it seems, Tex doesn’t want them to come out. Why Now? She knew where she was going that night and what she was about to do.she said it her self that she volunteered to go because she felt obligated to prove her self worthy of Mason that she belonged to the family .After all these years the remaining four now changes their story because they feel they did their time served and Now they want to go free.They claim they are not the same person they were back then.blaiming it on the drugs and Mason’s brain washing and manipulation.Which is all BS. a cop out. they knew fully well what they were sent to do and was hell bent on doing it to please Manson.He had them do his dirty work for him because he didn’t have the guts to do it his self And because he didn’t want to get his hands dirty.These cold heartless murderers destroyed many lives in the process.Who are they to decide who lives and who dies. And don’t forget an innocent baby boy named Paul who was denied the a chance to live his life.Yet.Tex watson fathered three of his own.Not Fair.and i don’t know how they can sleep at night knowing what they did.They are exactly where they belong.and i hope they rot and burn in hell for their actions.Let their victims rest in peace. and stop slapping them in their faces like their lives didn’t even matter. Tex has four kinds. It just floors me how people like him, doing life sentences, were/are? able to father kids. It’s unreal. The thing is, no one is saying “she didn’t know” what was to happen that night. She has always admittedly been honest about that and very consistent about her part. The “story” has not changed, It is the law that has changed (very slowly) but collaboratively as things like; ie. Youthful Offender, battered wives syndrome, Munchausen by Proxy (and etc) are recognized as legal defenses because it can mitigate diminished or mental capacity. The law requires it, in Leslie case now as court evidence and findings. Yes the whole manson crimes were awful. But Leslie can only be responsible for HER crime. And i dont think “only serving” 48 years (and counting) in prison is a “slap in the face” People who commit far more heinousness acts than she did, are out on the street in less than 20 years. The slap in the face is the system and Due Process. Leslie was found guilty of felony murder ultimately sentenced to 7 years to life with the possibility of parole… Judges, the DA, and parole boards all continually assured her she would be released around the 80’s.. What a joke. But yes You have your opinion and i have mine, but the point is, that today.. in 2017.. neither opinion matters because parole suitability is not to determine guilt since that has been established. It is delusional for people to say she should simply dismiss her own right to due process and law, the law and terms in which the court implemented, not her. I say that Leslie should be paroled because that is what the law says. 1.) Susan Atkins was part of a domestic terrorist group who invaded a private home in the middle of the night. So was Leslie. 2.) Susan Atkins helped tie up at least one of the victims. So did Leslie. 3.) Susan Atkins held down a woman, while she was stabbed by Watson. So did Leslie. except she held down Rosemary LaBianca while Krenwinkel tried stabbing her. 5.) Susan Atkins taunted the authorities, shaved her head, carved an X in her forehead, laughed about what she had done, sang, skipped, smiled, and showed absolutely no remorse whatsoever during the trial, horrifying not only the public, but the grieving surviving family members of the victims. So did Leslie. 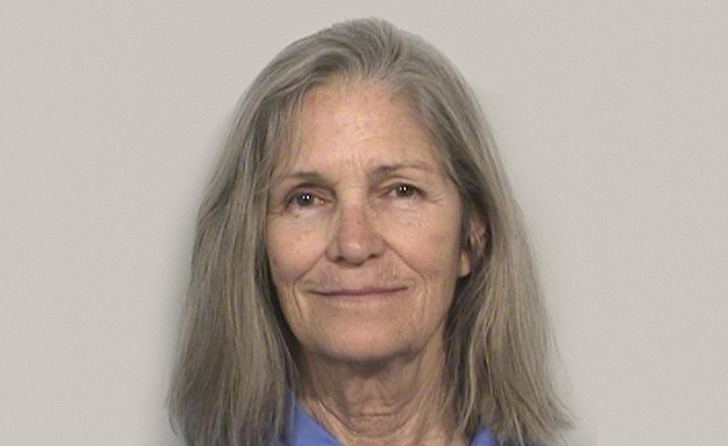 So, why is it that Leslie Van Houten gets to participate in such human terror & horror, yet, everyone roots for her to be released, because of the LAW? I never saw the rooting for Susan Atkins to be released, yet, technically, she supposedly didn’t kill anyone either. Why is it that 48 years is enough? She was originally given the death penalty, and laughed about it. She was spared, however. Now that she is facing her own mortality, she is puckering & wants OUT. She wants to go see the ocean, feel a salt breeze on her face, perhaps pet a dog or two, eat a delicious pizza, or have intimate relations with a man. She wants to garden, take hikes in the canyons, pick flowers on a spring day, and star gaze. Well, guess what? She forfeited all those things when she wanted to be picked for the “mission” she so desperately wanted to be part of. I bet the people that were murdered way back in the summer of 1969 would’ve loved to have lived longer, and enjoyed the same kinds of things. Instead, they were snuffed out, embalmed, placed in a wooden box, and buried either in a vault, or the ground for eternity. No more second chances for them. All these people who are always rooting for the underdog, why don’t you try rooting for the victims instead? When I was 19, I knew right from wrong. You don’t sit there, and watch victims being rolled out on stretchers, including a pregnant woman on TV, and then cheerfully raise your hand and volunteer to go do it again. She should remain in prison for the rest of her life. You don’t get second chances after that. And yes, there have been murderers that have been released that committed more murder. Life isn’t fair at all. Would she be in this predicament if she hadn’t been so freakin blood thirsty, and wanting to be part of her group’s “movement?” No. Killers get released all the time….dangerous people. What’s Lulu going to do? She sits in her cell, and looks out the window. If she got out, she would be in an old age home, sitting in her room, looking out the window. She just needs to stay there. And I do so wish that she and the other killers would stop whining all the time and pestering and begging to get out. It’s a little tiring. Forgive me for not having sympathy for her. She did not have sympathy for Mr. and Mrs. LaBianca. Patty was not a battered spouse and Leslie was not a youthful offender. No one is torturing her or anything. If she did get out, she would just go with some Aryan Nations biker scum like Squeaky did when she got out. There is something lacking inside of her. She was brought up in a decent home. She has no excuses and just needs to work on getting herself ready to meet her maker when the time comes. That a bunch of low life idiots like this decided to start a Turner Diaries like race war, by murdering innocent people, is appalling. Jesse….Leslie was not a youthful offender? She was 19 when this happened.